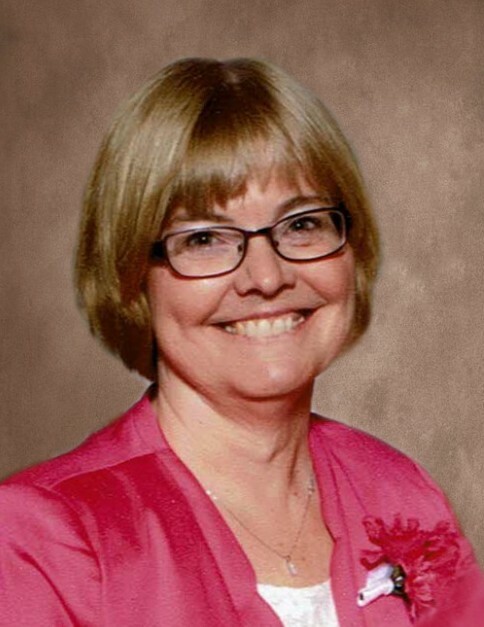 Linda Gornowicz, 65, of Radium, MN, received her Crown of Glory on Thursday morning, April 11, 2019, at home with her family, under care of hospice. Linda Jonell Potucek was born on July 22, 1953, in Warren, MN, to Jerome and Lorraine (Strand) Potucek. She was raised in Marshall county and graduated from Warren High School before attending NDSU, where she received her teaching degree. Linda was united in marriage to Carl “Skip” Gornowicz Jr. on October 22, 1976, and the couple made their home in Radium where they raised their four children. In addition to being a loving farm wife and homemaker, Linda was a Home Economics teacher for many years in both Alvarado and Warren. Most recently, she was Home Study leader for Marshall County and was the Safe Community Coalition Administrator for the WAO school district. Linda was always active in her church, Immanuel Lutheran of Radium, where she was a lifelong member. She joyfully completed any and all tasks needed as she lived the example of her faith in Jesus Christ. Linda also taught Preschool for several years at Zion Lutheran Church. She was actively involved in the local Homemakers Club and spent many years in the Comstock 4-H leadership. Linda loved to sew, cook, read, and garden, but loved spending time with her grandkids most of all. Linda is survived by her beloved husband of 42 years, Carl; sons, Brandon (Sadie) of Warren, Josh (Melissa) of Moorhead, MN, and Nate (Hannah) Gornowicz of Radium; daughter, Marissa (Daniel) Lund of Thief River Falls, MN; eleven grandchildren, Andon, Tanner, Keira, Claire, Milan, Leah, Logan, Greta, Roman, Isaac, and Liam; sisters, Lana (Duane) Wages and Lynette (Mike) Bunch; step-mother Dale Potucek; step-sisters, Beth (Mike) Hale, Lori (Keith) Yahnke, and Lois Crist; all of her in-laws; and many nieces, nephews, and cousins. She was preceded in death by her parents, Jerome and Lorraine; and her mother and father-in-law, Carl and Edith Gornowicz. FUNERAL SERVICE: Monday, April 15, 2019, at 10:30 AM, in Zion Lutheran Church, Warren, MN; Rev. Chris Rosebrough, presiding. VISITATION: After 5:00 with a 6:30 PM prayer service on Sunday, April 14, in Zion Lutheran Church,Warren; and one hour prior to the funeral on Monday.